Q. Where can I print in the library and on campus? Printing is available within the library and in the computer labs across campus. 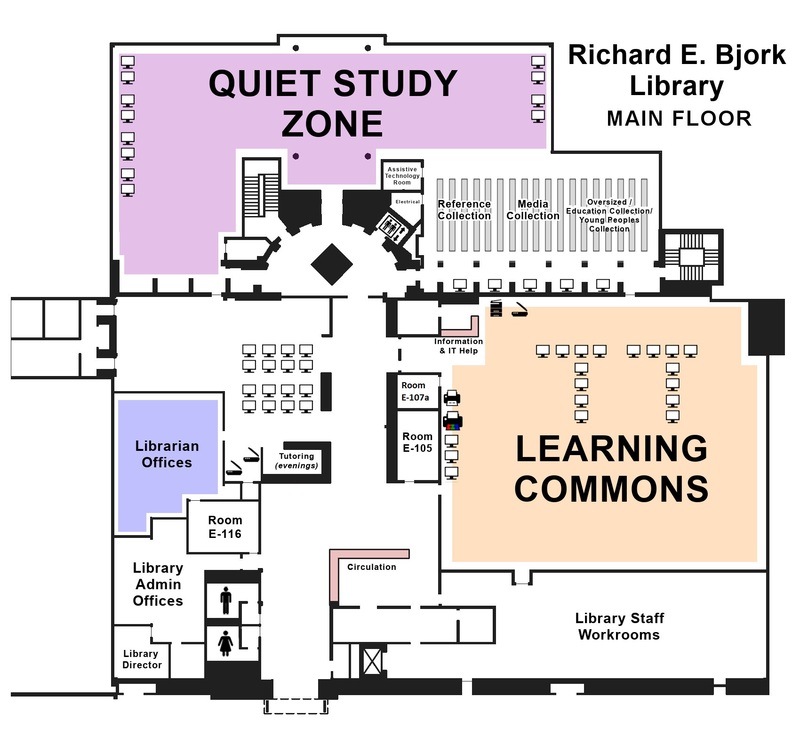 The library printers are located in the Learning Commons on the main floor, along the yellow wall. There are two b&w printers and one color printer. Next to the bank of printers are two print release stations. Use the release stations to print out any jobs you have sent from library computers in the previous two hours. Most library computers are connected to the printing network. Public computer terminals (those designated with pink paper slips on them) are NOT connected to printers if someone logs in as a community patron, however. Files printed from computers inside the library will be routed to the printers in the Learning Commons area on the main floor. The library printers are also an option when using wireless printing from your devices on campus.